Get Off the Ground. Now. 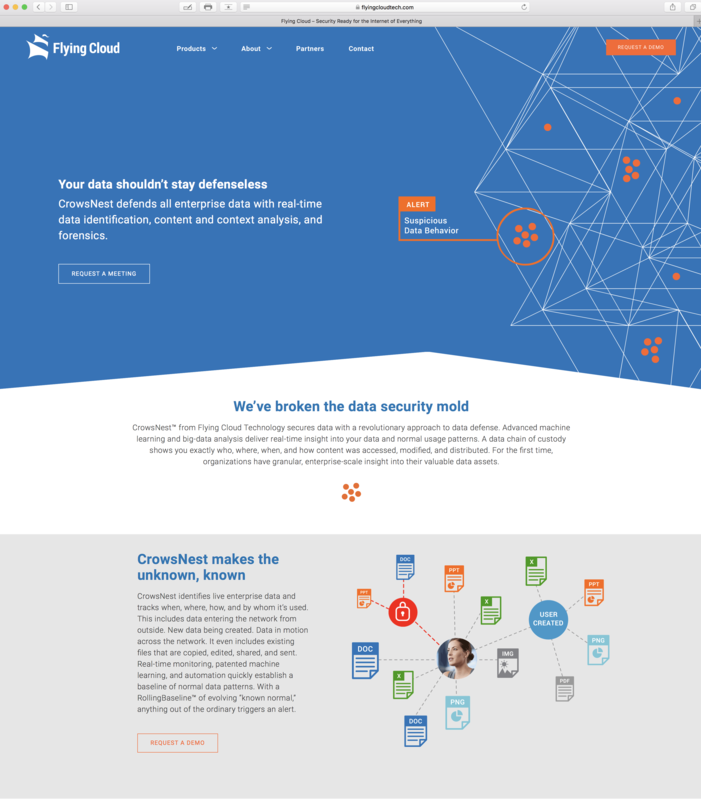 Flying Cloud Technology is an enterprise data security startup. After refining the technology for 18-24 months, the team now needed a coordinated presentation of the company to potential investors. In less than a couple of months. OK. The Energy team created a new WordPress website and simultaneously wrote Flying Cloud’s corporate positioning white paper, product datasheet, and corporate presentation. On time. Our design leadership and marketing experience also delivered a content plan for the future. At Energy we understand the #securitystartup space.